"This research shows that gut is a critical interface for this pathogen to move into the insect," said Cilia. "It is highly unusual for a plant pathogen to cause such a profound response in the insect vector and the insect's response may be an Achilles' heel that we can exploit to thwart the acquisition and transmission of the bacterium by the insect." 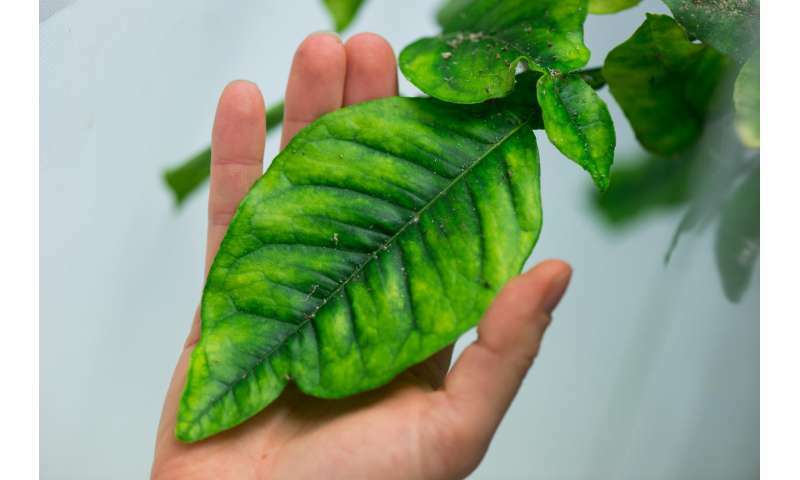 Citrus greening disease, also called Huanglongbing, has taken a terrible toll on Florida's $9 billion citrus industry and infected trees have already been detected in California. The disease is caused by the bacterium Candidatus Liberibacter asiaticus (CLas), which is transmitted by the Asian citrus psyllid as it moves from tree to tree, feeding on sap. The new research shows that the Asian citrus psyllid tries unsuccessfully to fight off the infection by killing infected cells lining the gut but the observation can also be explained by CLas's effort to spread beyond this important tissue barrier. The midgut is the first barrier that CLas must pass before entering the insect's body fluid, called hemolymph. CLas then travels to the salivary glands, which it must cross before being injected into a new tree through the insect's piercing, sucking mouthparts. In practical terms, the findings point to cell death in the psyllid midgut as a place where humans could intervene to block the bacterium's path through the insect. Scientists could introduce "interdiction" molecules that block proteins involved in cell death, or use genetic approaches to silence genes related to the process. Gut binding compounds have already been developed that stop aphids from taking up plant pathogens, and the researchers are working on similar compounds for psyllids.